QUINCE D. DYSON YOUNGSTOWN – On Saturday, March 4, 2017, Heaven’s Angelic Choir called Mr. Quince D. Dyson, 82, to his new choir in the sky. 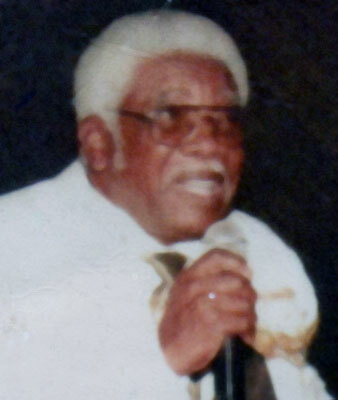 Quince was born March 22, 1934, in Wilmer, La., a son of Alt Dyson and Flossie Evans, and was raised by Clarence Butler. He had worked as an environmental specialist with the Youngstown Sanitation Department for 17 years, retiring in 1977. He was a dedicated member of the Greater Friendship Baptist Church, its Deacon Ministry, Male Chorus and Miriam Choir He enjoyed all sports, and was an avid fan of the Cleveland Browns. He also loved to watch old western movies. He leaves to cherish his beloved wife, the former Sarah Pea, whom he married April 11, 1953; two sons, David Dyson Jr. and his wife, Gloria and Donald R. Dyson and his wife, LaSonya, all of Youngstown; a daughter, Valerie D. Dyson of Columbus; three sisters, Gloria Jean Jackson, Rozetta Garner and Mazine Butler; a brother, Leroy Butler, all of Wilmer, La. ; five grandchildren; 11 great-grandchildren; four great-great-grandchildren; and a host of family, church family and friends. He was preceded in death by his parents, Alt Dyson, Clarence and Flossie Butler, and a brother, Robert Butler. A musical service will be held on Sunday, March 12, from 5 to 7 p.m. at the Greater Friendship Baptist Church, 846 Lakewood Ave. The family will also receive friends from 10 to 11 a.m. on Monday, March 13, at the church, with funeral services following at 11 a.m. Please share your memories of Quince.